Shaykh Muhammad West spent most of is youth growing up in Jeddah, Saudi Arabia. Muhammad West went on to complete a degree in Islamic theology and dawa at the Islamic University of Madina while studying a degree in accounting science through the University of South Africa via correspondence concurrently. Muhammad West returned to Cape Town in 2011 where he qualified as a chartered accountant of South Africa. 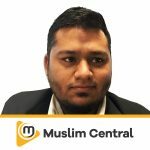 Muhammad West is a married father of 3, the resident imam of the Boorhaanol Islam mosque and senior accountant at one of the world’s largest clothing retailers. Discover more series by Muhammad West.